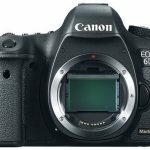 Canon has presented today the new EOS 7D Mark II camera, that unites the great benefits that give prestige to the Canon EOS 7D , with some features and technologies that were present in the professional segment EOS-1D X camera, the star product of the brans. According to the company, the model has been completely re-designed and re-built. The new Canon 7D Mark II accentuates on speed and it can photograph to a speed of up to 10 frames per second (fps) at full resolution and in RAW format, thanks, without doubt, to it possessing two DIGIC 6 Dual processors and also a new shutter and mirror elevating mechanism design. Another important advancement is on the autofocus system, aspect which Canon had neglected a bit in a lot of models with only 9 focus points. Not so in this case, as the new Canon 7D MK II has a new AF system with 65 cross type focus points, with a dual cross type central point (af/2.8) that focuses with low light of -3 EV, which gives great precision in adverse lightning conditions. A new specific lever for the AF mode selection allows to instantly change between the AF area models without having to separate the eye from the camera visor. 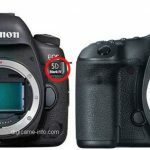 The camera sensor is of APS-C type CMOS, with 20.2 megapixels with a sensibility native spectrum of 100-16000 ISO (With widening capacity up to 51200 ISO. It incorporates a new visor that offers approximately a 100% coverage. The EOS 7D Mark II has an integrated GPS and a digital compass. 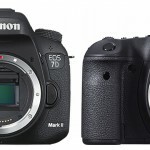 The built quality is also a strong point in the Canon EOS 7D Mark II. It has been designed to be able to work on difficult situations, with a higher resistance to meteorological conditions, and has a resistant magnesium alloy chassis. On the other hand, its resistance gives a long life expectancy of approximately 200 000 shoots. Thanks to the exclusive Dual Pixel CMOS AF Canon technology, that controls the AF system, it is possible to record video, focusing softly and with precision. For the first time in the EOS series, both, the AF Servo speed for video and the following sensibility can be customized, which gives a complete control of focus point change effects and of the subject’s transitions. The camera is capable of recording in FullHD with a speed range between 24p and 60p. The recordings done with the EOS 7D Mark II perfectly adapt to actual job flows of professional video, thanks to the HDMI output (4:2:2) without external recorders compression. 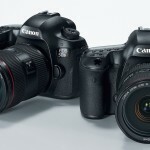 Also, the EOS 7D Mark II allows the recording of professional sound during all the recordings, as it has specific connections for external microphones and headphones, as well as silence controls to prevent the noise of the camera being registered as adjustments are done. It is expected that the camera will be out in the market for next month of November with a price that seems to be around 1799 dollars.